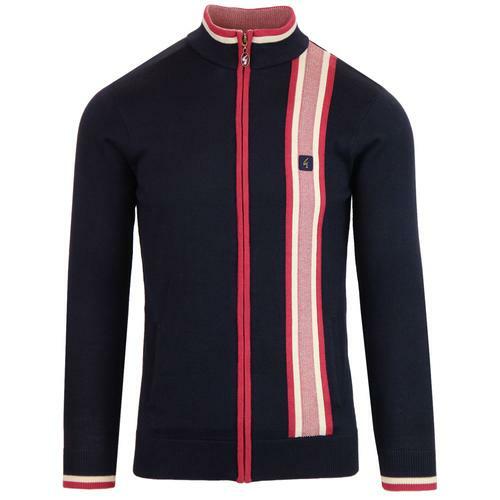 Ellesse 'Vilas' Men's Retro diagonal panel stripe track jacket in dress blues. 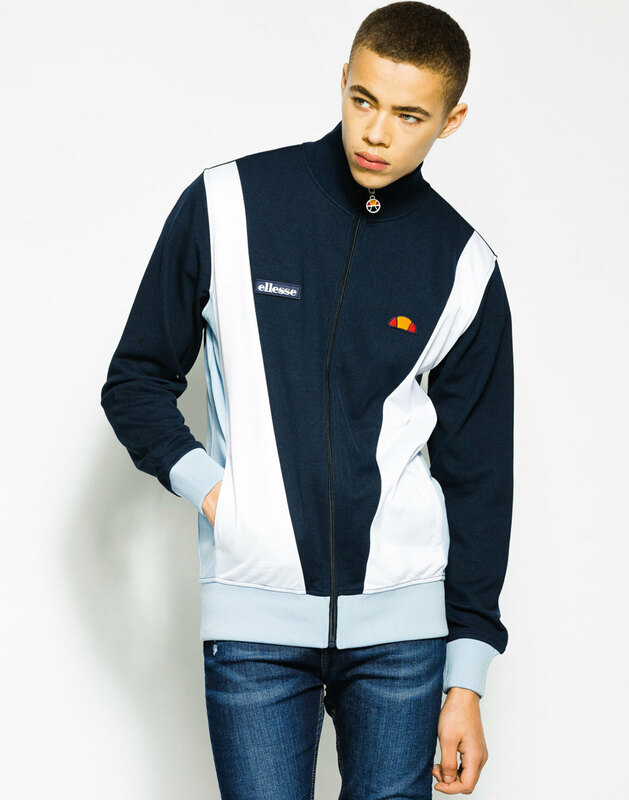 The white and sky Vintage 1980s style panel construction and classic Retro funnel neck collar add an authentic sports edge to this Ellesse Track Jacket. 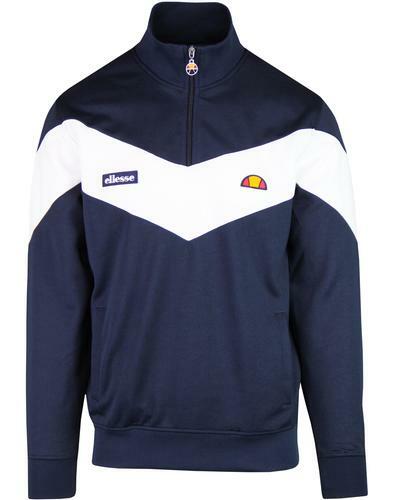 The Ellesse 'Vilas' track jacket is a faithful re-working of an archive classic. 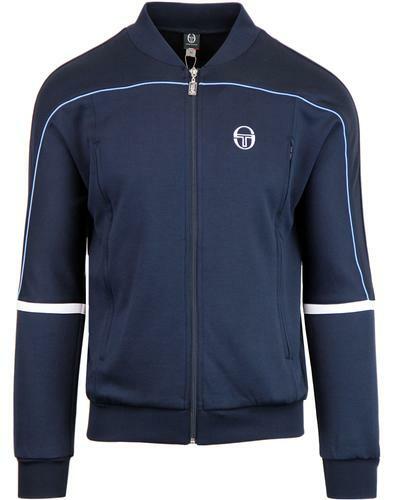 A style worn by 4 times tennis Grand Slam champion, Guillermo Vilas, hence the name of this truly stylish Retro garment - The Ellesse 'Vilas' track jacket. 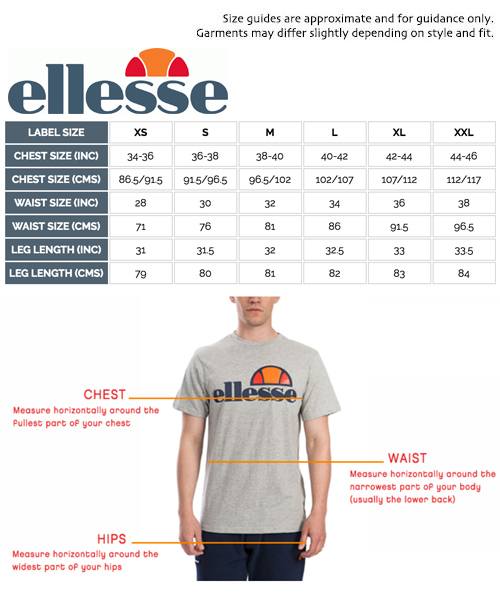 - Ellesse 'Vilas' men's retro 8s panel track jacket in dress blues. _ Retro funnel neck collar. - Ellesse branding to cjest. -'Vilas' embroidered sign off to back of neck. 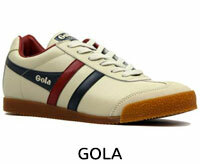 - SKU: Vilas Track Jacket.